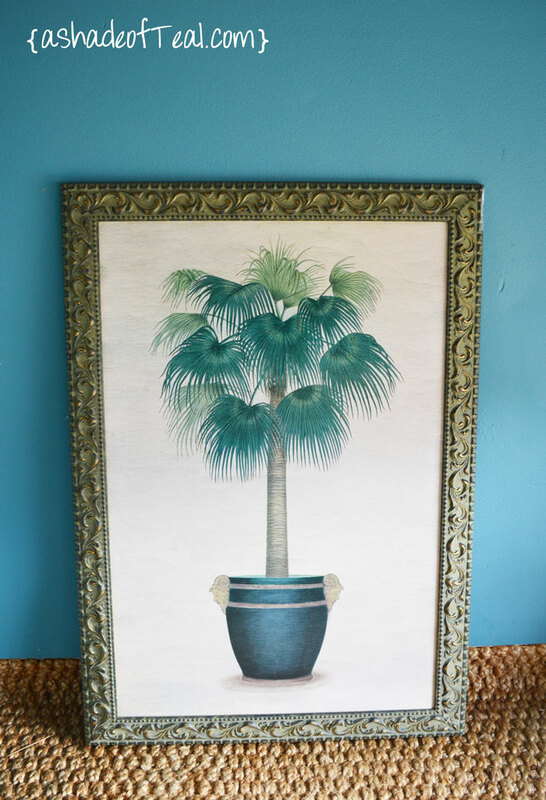 I found this picture and thought the frame would be perfect to re-purpose. 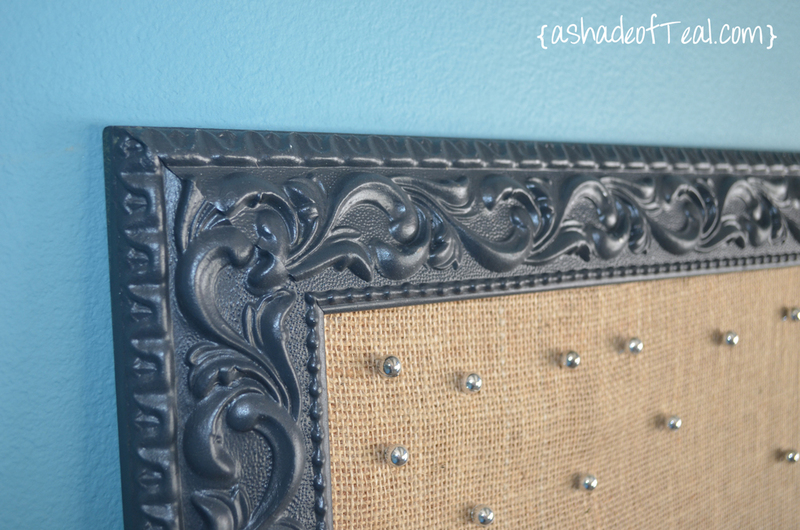 I originally planned to make this a magnet board with burlap over it. 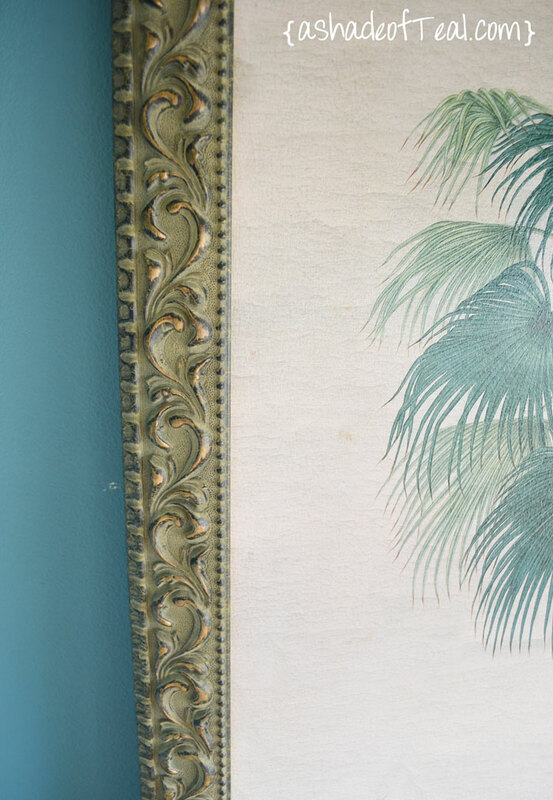 But, the magnetic paint wasn’t strong enough. 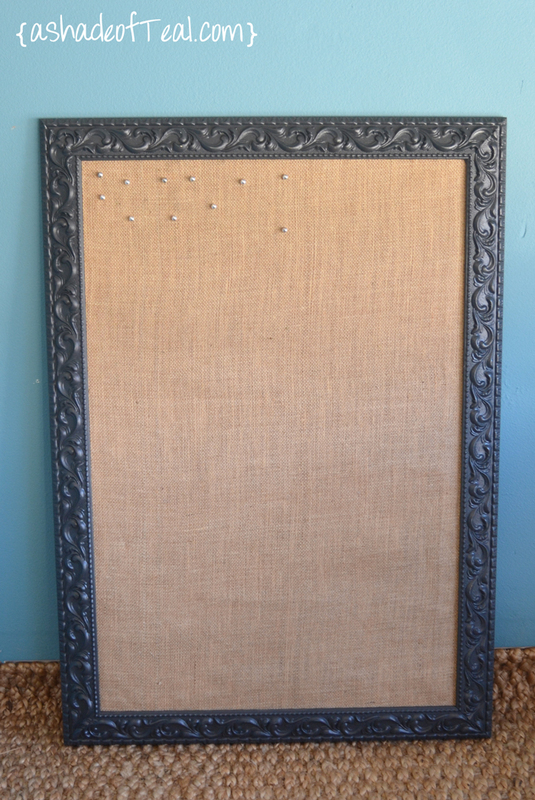 So I went with a burlap bulletin board. 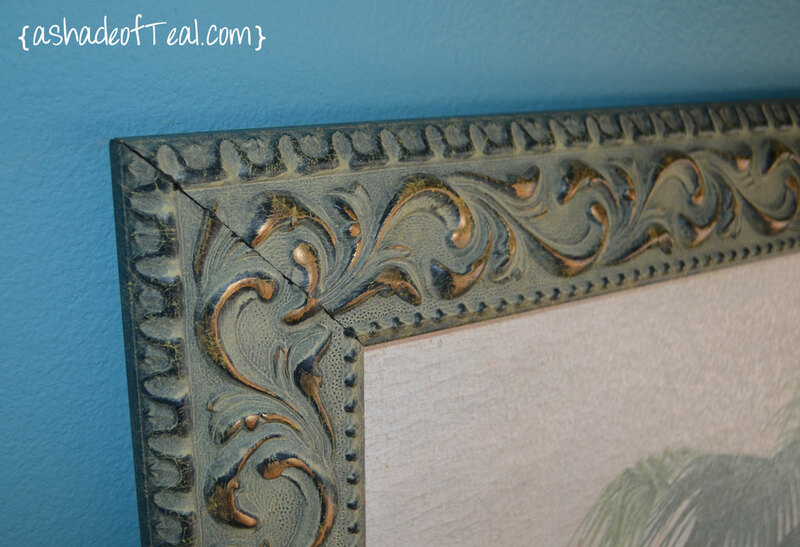 Frame: The paint is a Charcoal Valspar paint, and its finished it with a coat of poly. 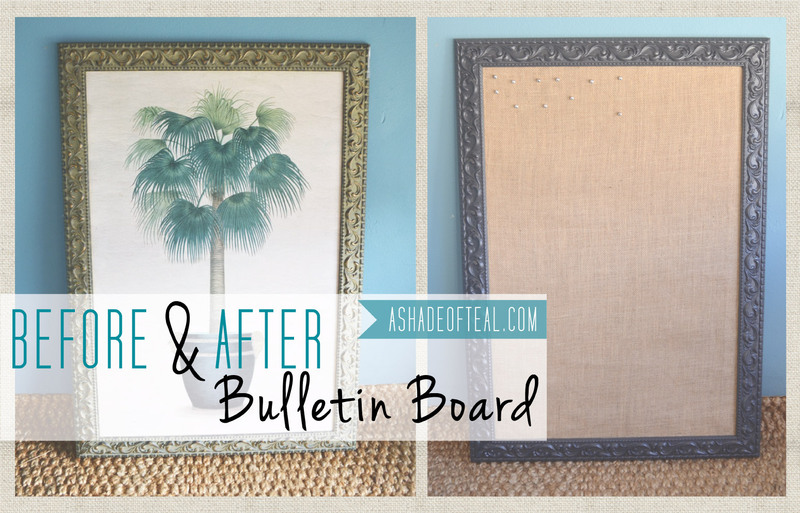 Bulletin Board: I bought tile cork boards and applied them to the original picture/carboard. 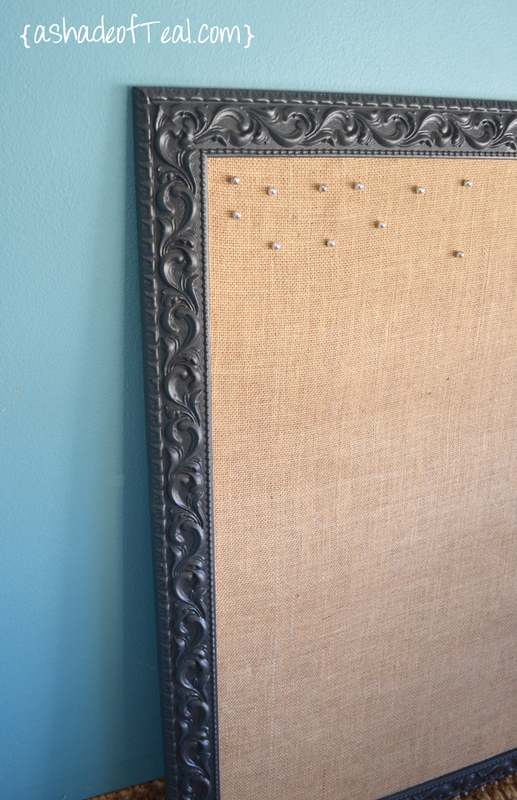 It’s covered with a natural burlap.